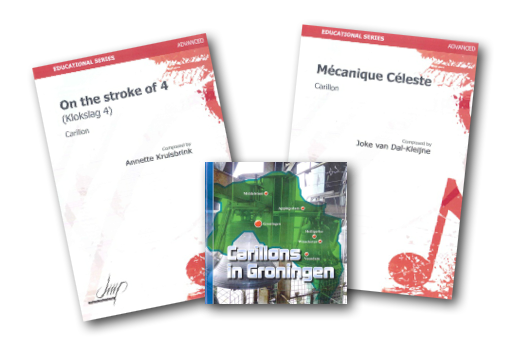 The collections and all individual works from the editions of the Netherlands Carillon Centre are now available in PDF. Order in the same way as usual. Once your purchase has been confirmed you will receive a link with which you can download the work in a PDF file. For clarity, this is only for works published by ourselves. They can be found in SheetMusic in PDF, but also in a related page in the edition from which they come. The editions remain available as paper versions. Online payment via KBC / CBC is also possible via the webshop of the Netherlands Carillon Centre. This work was commissioned by the municipality of Kampen on the occasion of the 15th anniversary of the Carillon Circle Kampen..
Includes: Alla Turca, a number of church sonatas and parts of three piano concertos. All arrangements are by Gideon Bodden. Curious about Mécanique Céleste? This work will be performed by Janno den Engelsman at the Lange Jan in Middelburg on July 25 at 19:00. The annual Mechelen VBV-day will take place on Easter Monday, April 17, 2017. This will be a cordial gathering of carilloneurs, carilloneur students and enthusiasts. The Flemish Carillon Society warmly invites everyone! See here the whole programm (in Dutch). - also free recital at OLV-on-the-Dyle?